TRENTON, NJ—According to sources at the Tip Top Diner, at least 80 percent of the restaurant’s salt and pepper shakers are currently being used by shifty-eyed patrons to map out elaborate bank heists. 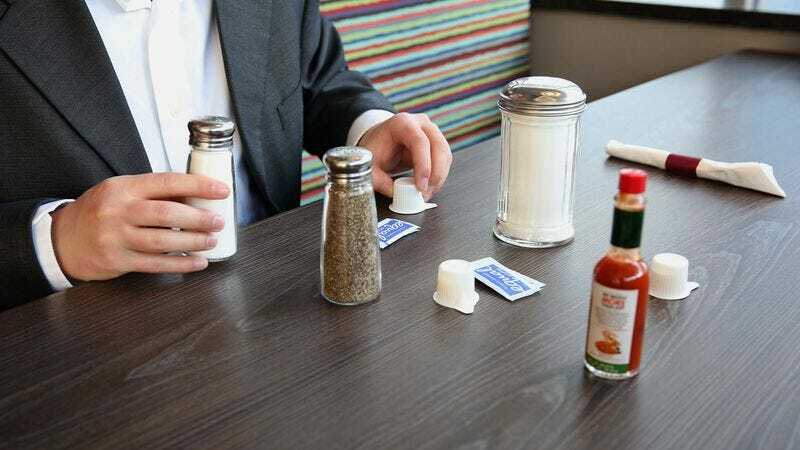 Among the diner’s 26 tables, roughly half were using one shaker to represent armed guards and one for the heist crew, while the other half—periodically scanning their surroundings for eavesdroppers—were sliding sugar packets across the table to illustrate the movement of a getaway car. According to sources, one table had reportedly gone so far as to assemble a rough layout of the bank’s interior using their coffee cups and cutlery, arranging an assortment of single-serving jams and butters into the rough outline of a bank vault. At press time, 30 percent of the diner’s customers had accidentally knocked over their entire setups after being caught off guard by the check.